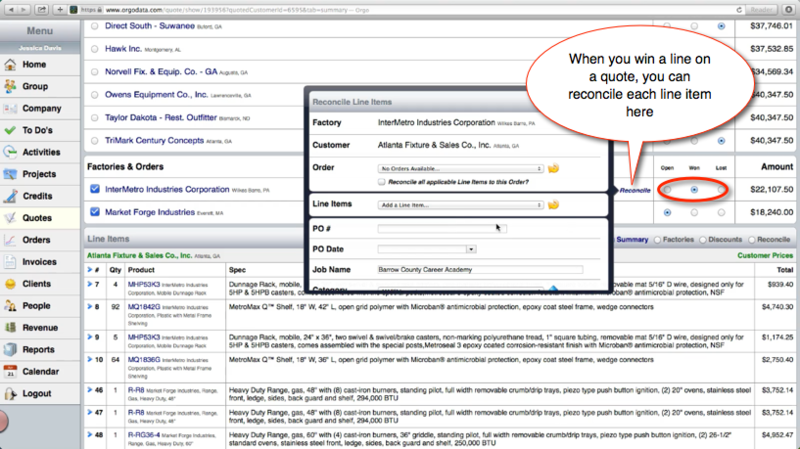 Orgo is designed to allow reps to manage and view quotes on location with a dealer. 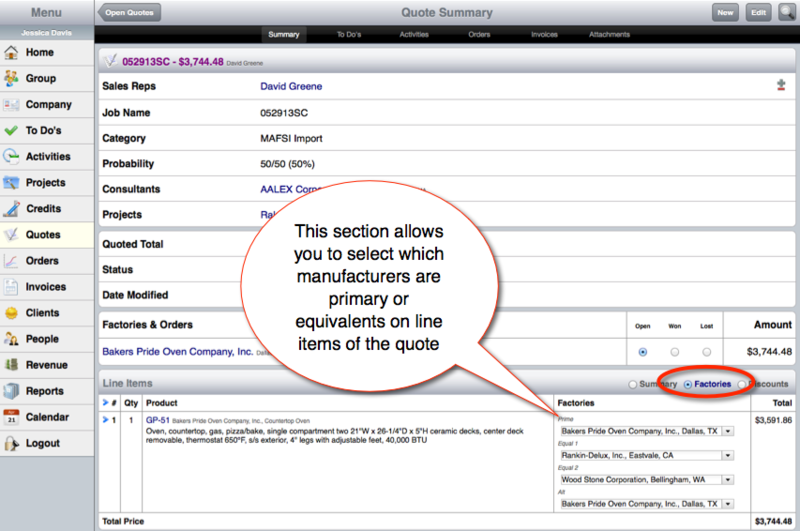 Managing a quote allows you to select the customer who was awarded the quote. 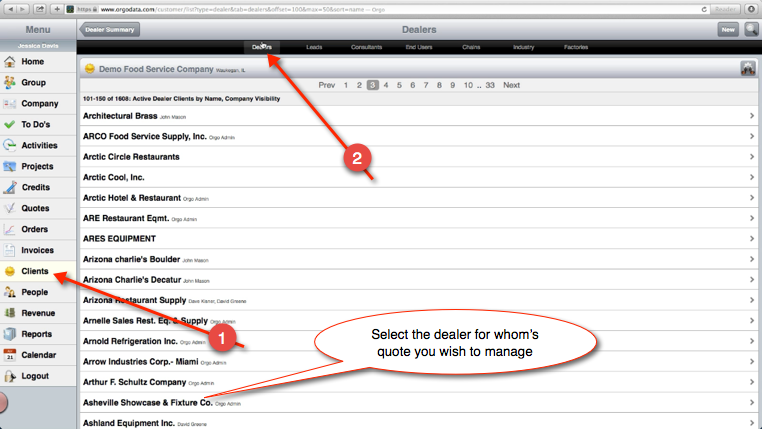 You can flag each customer on the quote as awarded or lost. Flagging a customer as lost will not change any other customers, however once you flag a customer as awarded, all other automatically flag as lost. You can also flag the winning factory for the quote and even reconcile the line items from the quote screen. You can also view and manage alternate factories for the line item, set which one is primary and their equals. Also on each line item, you can edit the negotiated discount. 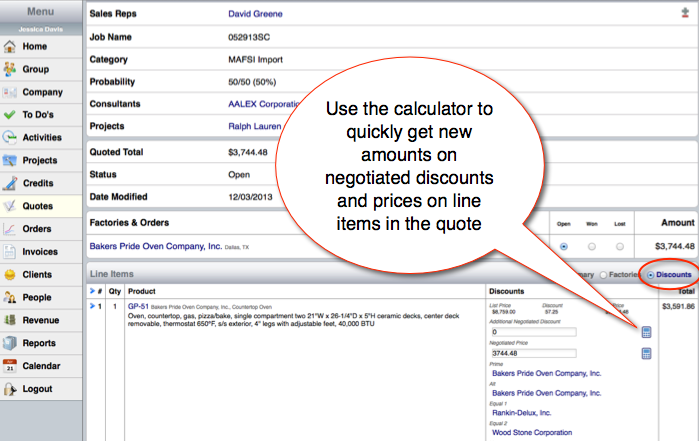 Enter the discount in the line and click the calculator to display the new quote price.